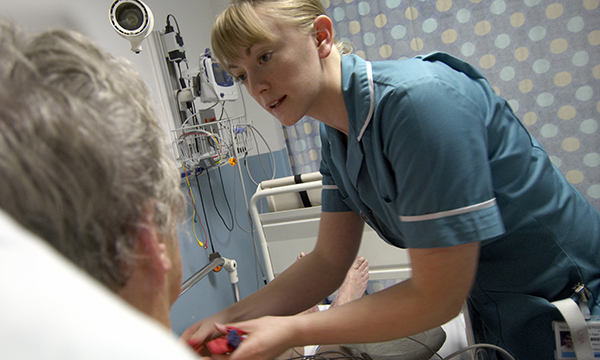 Healthcare assistant (HCA) numbers are growing at almost four times the rate of nurses, a study found. A report, by BPP University School of Nursing in London states that for every additional nurse taken on by the NHS in England between December 2015 and December 2017, trusts employed on average 3.9 HCAs. The, Care staffing in the NHS: the good, the bad and the promising, report also shows that in the two-year period, the number of HCAs in NHS trusts increased by an average of 6.5%, while the number of nurses went up by just 0.5%. Responses from 195 trusts in England showed that 29% of all care roles are now filled by HCAs and in some regions the proportion is more than one third. The study highlighted that nursing and midwifery vacancies increased by 21%, from 28,713 in December 2015 to 34,682 two years later. BPP University School of Nursing dean Lynne Gell said: ‘As demands for care rise inexorably and the supply of nurses struggles to keep pace with that demand, it’s inevitable that hospital trusts will look to other sources for their staffing requirements. RCN head of professional learning development Anne Corrin warned that although HCAs offered vital support they had a ‘very different role to a registered nurse’ and should not act as a substitute. Dr Corrin said: ‘This is not fair on HCAs, who may feel under pressure to perform tasks they are not trained for, and it is not fair on patients, who will rightly be concerned if HCAs are replacing registered nurses. ‘This trend highlights yet again that across England we are desperately short of registered nurses. The government must pass legislation that guarantees the right number of staff with the necessary skills to keep patients safe.